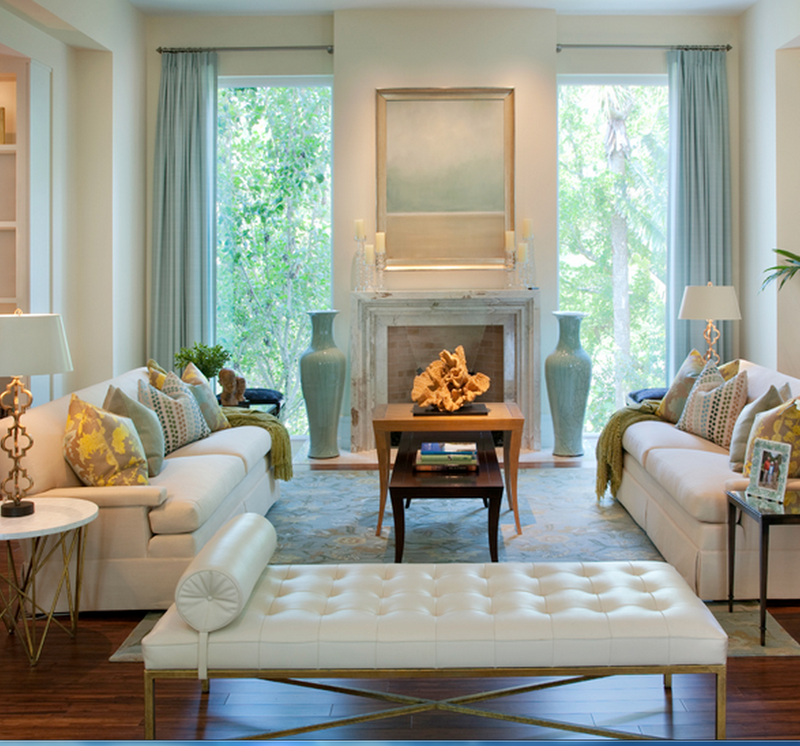 There are several options that make drapes easier to open and close. 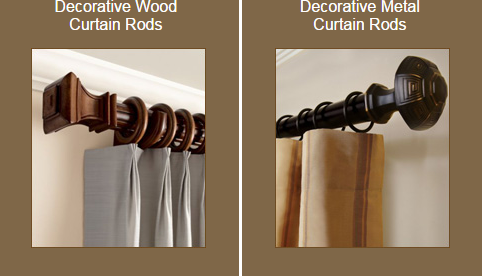 The top 5 solutions for functioning drapes are listed below. 1) Put silicone on top of the drapery pole. Important – make sure the silicone product does not get on your fabric or walls! Even a little bit could ruin your fabric or wall paint. I’ve even heard installers say Crisco can work. 2) Adding a drapery Baton will help make drapes easier to open. To determine what length baton to get, measure from the rod down to where you want your hand to be when you open & close drapes. 3) Switch to a drapery rod that’s long enough so that you can avoid having to “jump” over an extension or telescoping section. For example, even though the box might read “from 40″ to 62” , if budget allows, it’s best to get a rod that will cover the entire width without having to use the extension potion, see photo below. 4) Consider wooden rings instead of metal rings. Zoom in on any of our window treatment photos throughout this blog or our web site — you’ll notice we always use wooden ring for functioning drapes, for 3 reasons. They open and close easier, look higher quality, and are less noisy when opening or closing. An exception would be certain custom metal rings. 5) If you try all the above and still have trouble opening and closing your draperies, the only other upgrade is custom traverse rods. They’re pricey, but the custom ones are nice looking (with hidden traverse system). The custom ones are also quiet. I’m not familiar with the cheaper imitation traverse rods from discount stores, and whether they glide well or are are noisy…. we welcome your comments and feedback! All the mechanism portion below would be hidden behind the drapes. 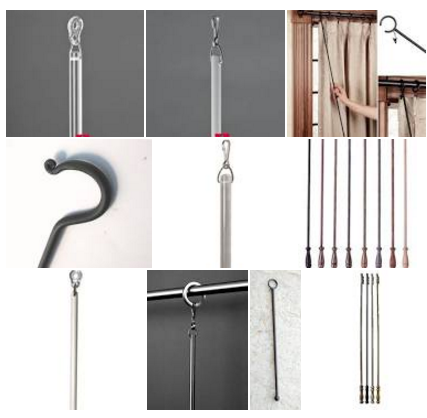 There’s all types of things to consider before purchasing drapery hardware, the diameter of the rod, the bracket depth, the quality, budget and which rings. When possible, custom rods are a good investment.